So look what the mailman just dropped off for me today! 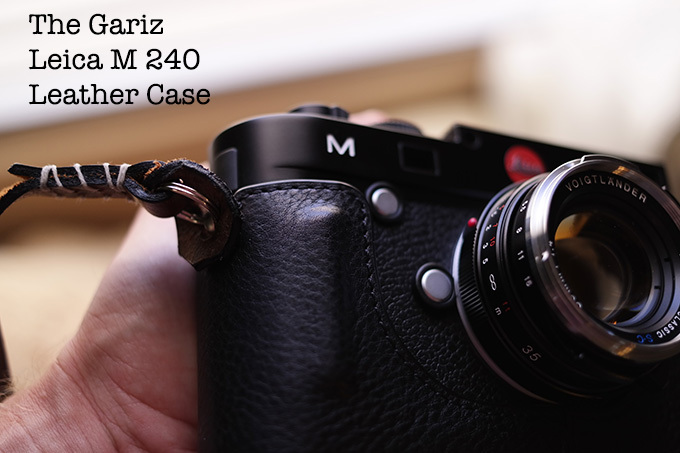 Yep, it is never ever boring for the mail delivery men and women in my neighborhood as I probably see them 3-4 times a week, every week 🙂 Today the mail brings me the new Gariz Leica M 240 Half Case in black Leather. In the past I owned a Gariz Black Label case for my Olympus OM-D and Sony RX1 and i loved them both. On the OM-D it added a nice grip and a little more height and truly was a case that appeared as one with the camera. On the RX1 my Gariz case fit like a glove once again so I decided to take a look at the Gariz case for the Leica M. I have tried many cases for the previous Leica M9 including a Luigi (much too fat and hard for my tastes but gorgeous to look at and my case had mis cut openings that did not fit the back of the camera), the Artisan & Artist case (fit very loose and sloppy), and the official Leica cases (worst of all). For my M9 I ended up going Naked and just letting my camera get beat and scratched up. Which did end up hurting resale later on. Seeing that I want to keep this M 240 as nice as possible while still heavily using it I decided to go for what has always worked for me in the past, and that is Gariz. 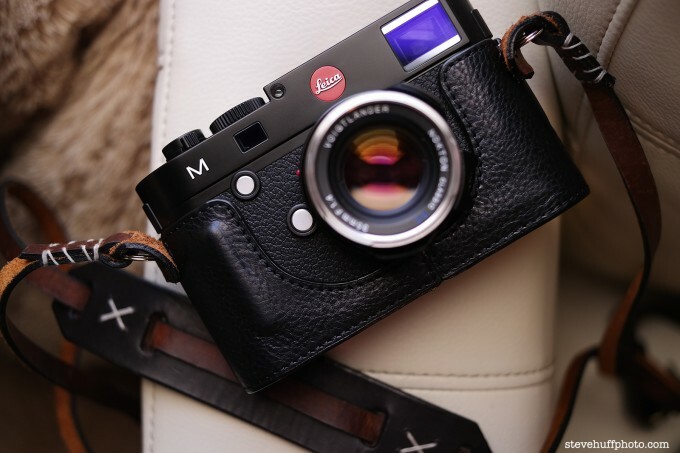 With my superb Cub & Co strap that I am in love with and the Gariz case, my Leica M is looking pretty sharp. But how is this case and is it worth the $199 cost? Well, if you like half cases then I can and will say that the Gariz line is always a little different than most leather half cases you will see. You will either love it or hate it depending on what you like and what you are used to. The main niggle for most is tat it does not cover the top plate of the camera at all. So it is exposed and easier to scratch up. Me, so far so good. It fits like a glove, it is soft and feels high quality and I sort of like the bottom metal plate that gives the whole thing a solid feel. This is the difference in a Gariz case, the metal bottom plate. One other case I really wanted to look at are the super luxurious Arte di Mano M cases. I mean, these are the top of the line as far as I am concerned (I now have reviewed the Arte Di Mano HERE). Beautiful design, premium leather, and fits like a glove without being too fat or large. The only niggle is the Arte di Mano cases are $390-$490 for the single half case. Sure, they look gorgeous but I am not sure I want to commit to $390 for a case. If I did, it would be an Art di Mano case for sure. I am usually a big believe in “you get what you pay for”, though there are always exception to that rule. So for about half of that cost I went with a Gariz and am happy with that decision because it also fits like a glove, is soft and slim and uses a nice leather. It feels great in the hand, looks great on the camera, actually fits correctly and smells good as well 🙂 UPDATE: I now own the Arte Di Mano and there is no going back. Again, see that review HERE. Some of you will not be in to cases at all. Many prefer the “Naked” approach so if that is you, no case is going to be up your alley. But if you want a case for your M 240 and like what you see with this Gariz case, you can buy them at Amazon in Black, Brown or Red. I bought mine from Amazon from “Sky Depot” and it arrived in 2 days via USPS Priority Mail. You can see all of them HERE at AMAZON . 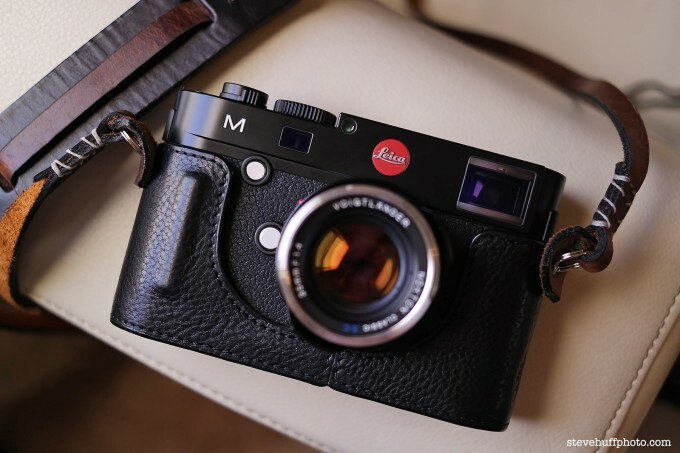 Of course, you can get your Leica M 240 at Ken Hansen, Pro Shop, PopFlash.com or B&H Photo. 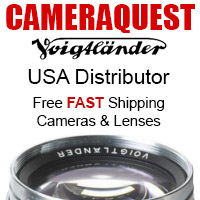 Nikon 32 1.2 1 series lens now Special Order Only? Hi, is it difficult to change battery and card? 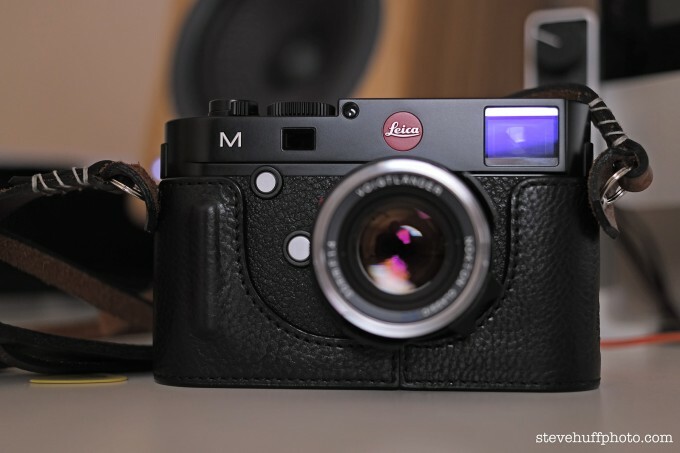 Do you use your Gariz on a Leica M240 with or without the bottom plate? It seems to work both ways. Does this case work when a Nocti sized lens is attached? Does Gariz do one like this for the M9? I am not 100% sure. I do not think so, as I have never seen one. Do you have to take off the case to switch batteries? I love my Gariz case for my OM-D much because it is really convenient to not have to take it off everytime I need to replace a battery…maybe I´m just plain dumb, but it seems like you have to take it of in the pictures…? Yes, ANY Leica case will havet o be removed to get to the battery and SD card as there is a baseplate that must be removed on any M digital camera to get to these things. Even if there was a hole in the Gariz you could not get to the battery or card. To go that route you would have to buy a Luigi case with cutout and a Luigi baseplate with the opening, which for both would probably run you close to $800. Oh…I should have known that…I totally forgot…;-) Then I would rather have Gariz than anything else! It is cheap – compared to quality and compared to others, and really, really great looking. 3rd photo is absolutely stunning. Was thinking it may had been taken with the Sony RX1, but to read that it was a Samsung. There you go. Surprise of the day! This looks really gorgeous on the Leica. Me not owning a Leica but an OM-D E-M5 I went for the OM-D case of Gariz and this is just as well a fit as the one for Leica. Would buy this any given time agin. I had one for my Fuji X-Pro 1. Disliked the flabby fit and the metal base. Liked the access to the battery compartment. I have a Luigi premium for my M3 and another for my X100s. I had one for my M 240 but sold it. For me, the lines and look of the M 240 is too modern to put a retro style half case on it. I use a Thumbs Up all the time and occasionally a Really Right Stuff grip, but it’s kinda bulky and the wrong shape IMHO. I, too, have spent time looking at a case for my Fuji X100S. For me, I preferred the Luigi. All of the cases have drawbacks but I like the extra bulk with the handgrip that the Luigi cases provide. Coming from 35+ years of SLRs/DSLRs with grips, the Luigi gives me a more comfortable feeling and fits my hand extremely well. I have even ordered a Luigi case for my recently purchased X-E1. But, just like the choice of wine or camera/lens combo, the choice of a case is very personal. What works for me does not work for everyone and not everyone likes a case. I wanted one for the protection to the camera body. I have a 40+-year-old Yashica Electro35 GS that looks brand new because my dad kept it in a case. And it still works perfectly today. 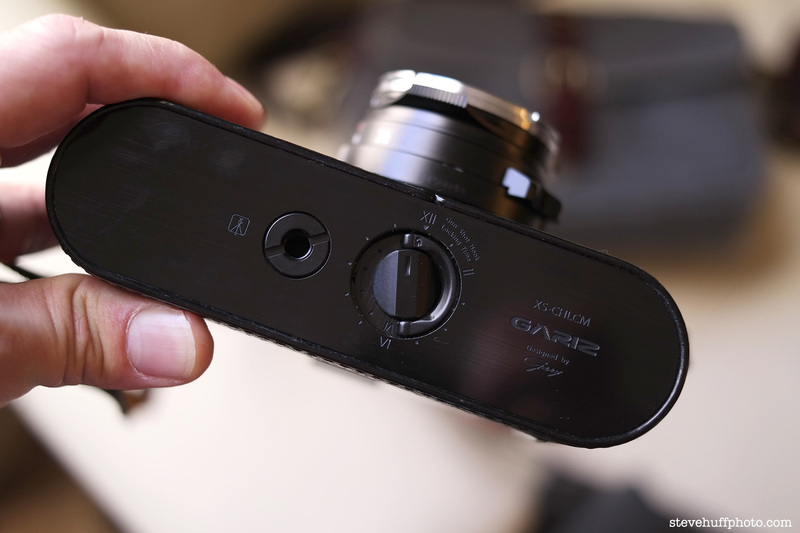 I had a Gariz case on my Fuji X100 and it was superbly made, looked and felt great. However their design does make the camera body taller because of the metal base plate the case is fitted with. Some may not like this, depending on the size of your hands I guess. I assume Steve that this is the case (excuse the pun!) with the M version too? Actually no, the M case is no taller than other M cases so for this one the camera does not get taller. I appreciated that feature with the OM-D E-M5 and wondered if it was going to do this on the M but it does not. The Gariz case for the E-P5 does raise it up a little but I find that to be a positive thing. Can get a better hold on the camera all the way around. Samsung NX300 🙂 JPEG, direct OOC without one touch up. I have had the chance to handle a Gariz case for an Olympus OM-D. And I was very impressed with the quality. Speaking personally I also like the metal base plate. Innovative, nice touch. But the leather case itself is well done too as it fits like the proverbial glove. Worth the $ I would say. $199 isn’t too expensive for a camera case that will go on a $7,000 body. 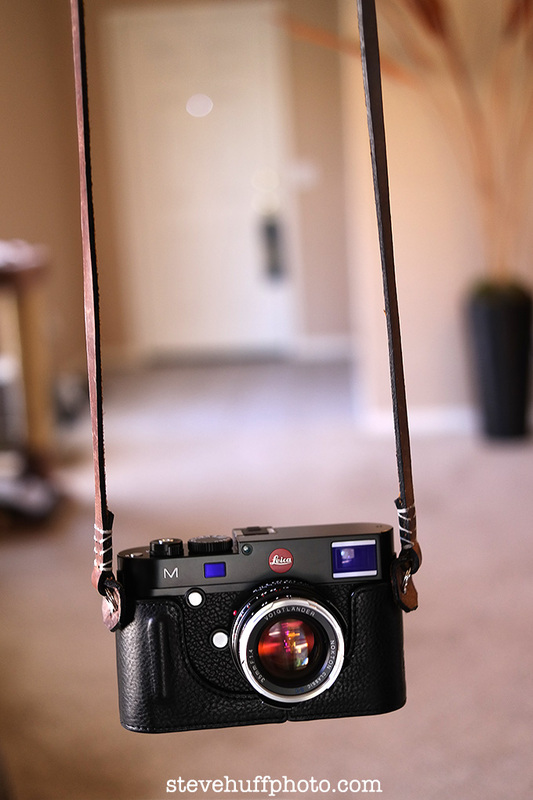 If you can afford a Leica M, you can afford a decent case. I have spoken with him about possibly getting a case to review. He may send one in a few weeks. Was hoping to do an M case shootout with all available cases. The Gariz has access to tripod threading which I like. I have the Gariz for my Fuji X-E1 already and will likely do the same for my brand new 240 :). It’ll give some basic protection. The cover on the Angelo is nice though. Does Angelo answer buyer questions or does he ignore emails both through EBay and on his website like Luigi? Angelo did not answer my email questions, so by by Angelo, hello Gariz. That stitching on the leather strap is annoying. Looks amateur-ish. Would much prefer a wound up end like a Gordy or the classic Luigi (own both). Although, I still do rock the grippers simply for convenience of not getting twisted. 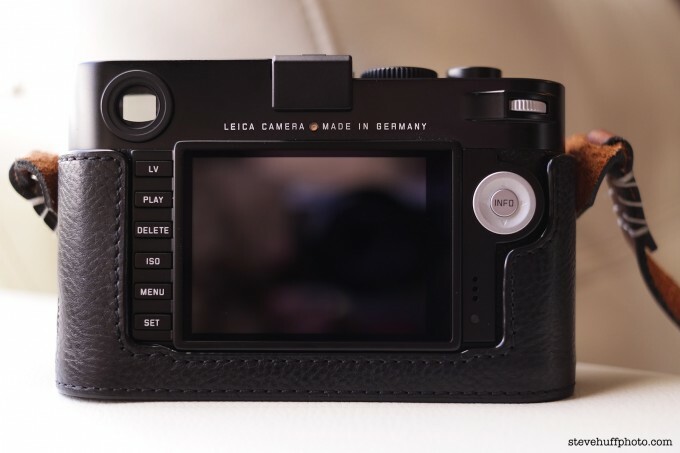 I normally don’t like cases, but that looks like it was sculpted in the Leica factory–a must buy! This Gariz case doesn’t protect the top plate (and the sides of the top plate) in any way. I see this as required for any case, so I will pass on the Gariz. Hey Brad! Yea, no top protection just like all other Gariz offerings. Makes it thinner and less bulky but you do lose that extra protection. There are other nicer cases than this (as you know) but they are 2-3X the cost. For the money, it’s a good looking case that gives a nice feel, but won’t be for everyone. yeah…I think you reviewed a Gariz half case for the RX-1 also a while back…I decided to get one for my new E-P5 along with the shoulder strap and gunshot mechanism. A lot of people think that this stuff is pricey…but I have to say it is so well thought out and designed. 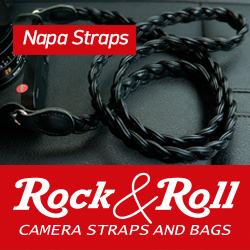 All of the fasteners are unique, with leather covers, there is a safety catch for the strap and the case itself is very well done and manufactured. Anyone who complains about the price just doesn’t see what has gone into the product. Its unique. My case also allows me to grip my E-P5 much more securely and at the risk of sounding like a fool…it ads a (even greater) feeling of luxury to the camera. Also…its a half case…one look and you can see that? If you want a full case this is not one. LOL! This will keep my bottom plate from getting scuffed up, give my big hands a much more secure grip on the camera and as far as I am concerned…the case coupled with the shotgun set-up (not easy to put together properly…you will have to look into it as there were no directions of value in the boxes with mine), is Da Bomb….. Great product. Thanks for reviewing them here, Steve.